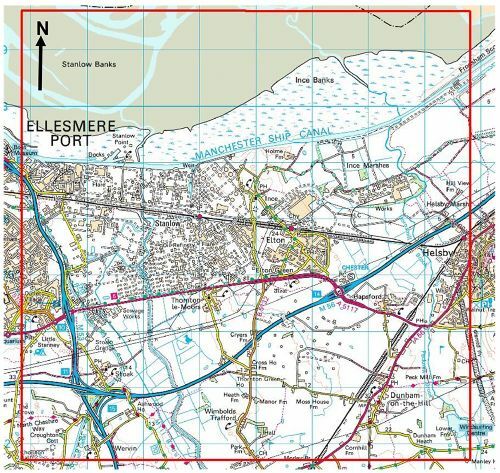 The area of study covers 63 km2 in the Stanlow area on the north Cheshire coast (Figure 1), including Thornton Science Park at Thornton-le-Moors, extending northwards offshore into the Mersey estuary. The aim of the study is to describe the distribution of Quaternary aged deposits based on the review and interpretation of available data held by the BGS, largely comprising SI and exploration borehole data. This has been achieved by entering compositional and stratigraphic information into BGS databases and generating surfaces of geological units within bespoke models using the BGS GSI3D software. This work will support the general aims of the BGS-NERC ESIOS (Energy Security & Innovation Observation Systems for the Subsurface) programme, by allowing the design and location of borehole arrays to be designed with reference to the complex Quaternary geology in this area. The ground surface across the majority of the study area is situated at or below an elevation of 10 m OD, rising to 44 m at Dunham-on-the-Hill. This reflects the Quaternary geology, with Holocene aged estuarine deposits occupying the low ground along the coast inland as far as Helsby and alluvial sediments occurring in the floodplain of the River Gowy. Dunham-on-the-Hill forms a bedrock ‘high’ where superficial deposits are absent and Sherwood Sandstone Group is exposed at the ground surface. Figure 1 Location map of the Elton superficial geology model area (outlines in red). 1 km grid squares shown.